Dr. Bejarano founded English Adventure in 1998 and has set the company’s roadmap to be a worldwide leader in EFL program development for Young Learners and Elementary School levels. Holding a master’s degree in TESOL from UCLA and a PhD in Applied Linguistics from Tel-Aviv University Dr. Bejarano is an internationally renowned expert in the field of language teaching methodologies. She is a frequent speaker at English Teaching Conferences around the world. Dr. Bejarano served as the Head of the EFL Department and School of Languages at the Open University of Israel for many years. 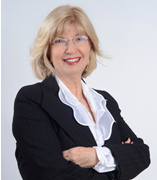 She has written 34 books for academic and educational systems, professional articles on effective methods of language teaching and testing, as well as the use of technology in TEFL. 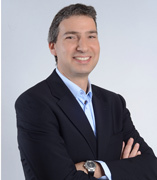 Amir joined English Adventure in August 2008 as a partner and Chief Executive Officer. He holds a bachelor’s degree in Computer Science and Economics from Tel-Aviv University. Recognizing the growing interest in the teaching of English as a foreign language (EFL) to young learners all over the world, Amir is leading the company towards worldwide collaborations as well as brings the company towards the digital era of the new millennium with new exciting products and services. Previously, Amir served as the East Asia and Australia Region Manager at Vizrt (OSE: VIZ), a high-tech systems developer of content creation tools for the digital media industry. Amir lived in Taiwan for several years and has a warm spot in his heart for Asia’s people, culture and cuisine.